Soon I realised this was not Angola in Africa but Angola, Louisiana. But I was intrigued. A friend of mine has been working on starting a volunteer based prison rehabilitation center in Baroda, India. So when I came across this documentary I wanted to know more about what they are doing in the hospice program and I was amazed! Louisiana’s maximum security prison has hardened criminals – rapists, kidnappers, murderers – within its walls with an average sentence of more than 90 years! With such long sentences majority of prisoners never see the outside world. They grow old and die in the prison. More than the biological family, it is the prison family that the inmates spend their life with. Realising that 85% of inmates grow old and die in the prison; Warden Burl Cain started the prison volunteer hospice program in 1997 to bring more dignity for the dying process of inmates. 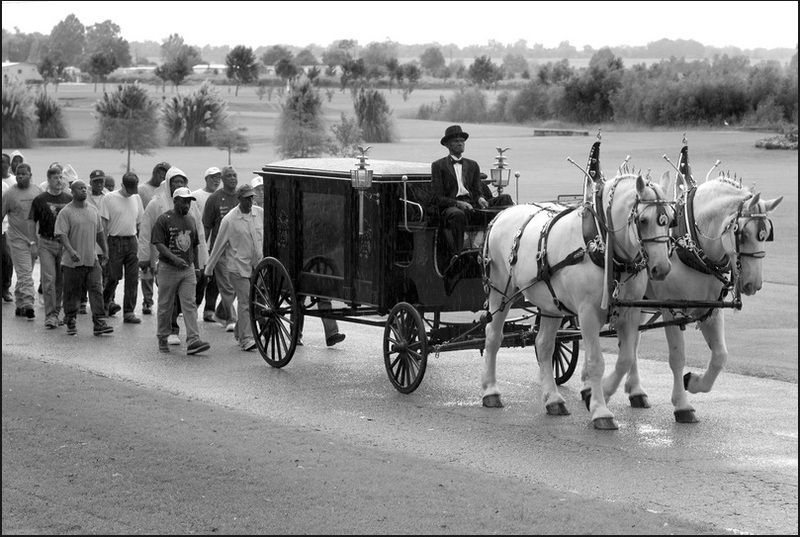 [Source: Acton.org blog] An extraordinary hospice program where hardened criminals care for their dying fellow inmates and in doing so, they embark on a journey that may end in personal rehabilitation. Serving Life is available for streaming on Netflix – to which I do not have access to here in Angola, Africa. Instead I found this another documentary – Opening the door – by Open Society Foundations on the hospice program. I went through a myriad of emotions in that half hour of watching the documentary. I was sad to learn that sentences are so tough; I was amazed to see so many people came together to create the program; I was touched to see how inmates were helping not just the dying but also themselves. Very moving. Leslie Williams one of the inmate hospice volunteer tells in the documentary how the hospice program has led him to see how to cry and how to feel the hurt to see your loved ones in positions like this and that he has himself put some people in positions like that. The hospice program has helped him to let go of a lot of anger and hate. They share it as helping their own brother make the transition from life to death a little smoother. The patients don’t die alone. At one time, after a prisoner’s death his body would just be dropped in a hole but now hospice volunteers plan a memorial service and an elaborate funeral with all respect and dignity. The program has changed how many think about death. It’s a reminder of the humanity and the connection that exists within and between each and every one of us. Images taken from Grace Before Dying by photographer Lori Waselchuk. Thank you so much for sharing some of the most touching moments inside the Angola Prison. 2 Responses to "Service and Redemption: Volunteers at the Angola Prison Hospice"
Connected you both on email! He has also been working on promoting youth volunteerism in Dahod.. you would love to meet him and find out more opportunities!